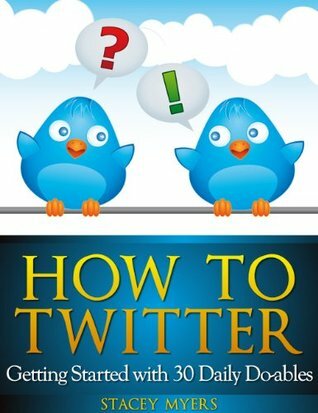 I found this book for free on Amazon a while ago and read it to see if I could learn anything that could help make my tweets more productive. It’s a very helpful step-by-step guide with crisp, clear instructions. The author provides explanations for each of the 30 do-ables (steps) and screenshots to show exactly where to go on Twitter. I knew most of them, but the section on changing your background and putting a widget on your blog helped me. I think this would be perfect for someone who is new to Twitter, wants to set up an account, and wants to get results. Stacey walks you through signing up, getting a username, making tweets and using hashtags. She offers great advice on what to do, as well as what not to do (ie using hashtags that have no relevance to your tweet just to get views.) The author also mentions different websites and apps that you can use to make scheduled tweets, make your link smaller and follow/unfollow people. I don’t use these services, but they might be helpful to other people.